Candidate Obama promised hope and change without defining either. He received a Nobel Peace Prize for what he would do and he was hailed a political Messiah. That was an Orwellian “big lie” heralded amidst a number of derivative lies, such as the stimulus was a success and Obamacare works. Another – continuing – derivative lie remains politically operative: Bush is to blame. 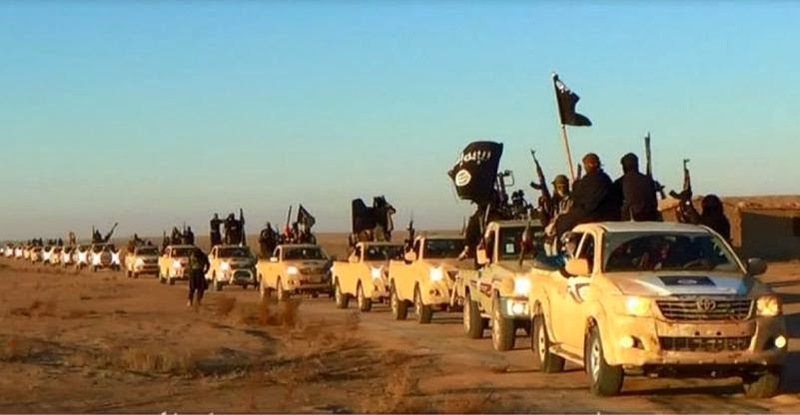 Obama and his cronies blame the Bush administration for the collapse of Iraq and the establishment of an ISIS caliphate, despite the peaceful and stable situation Obama inherited from Bush. Obama left a power vacuum in Iraq which ISIS capitalized on. Obama and his cronies blame the Bush administration for Putin’s invasion/annexation of Crimea and aggression in Ukraine when it is Obama’s weakness which has emboldened Putin’s imperialistic ambitions. Obama and his cronies blame the Bush administration for the humanitarian crisis on the border when it is Obama’s own immigration policies and unilateral executive orders which precipitated the crisis. This all stems from Obama’s deeply flawed view of America and his consequent inability to decisively lead the nation. Obama’s indecision arises from internal confusion. Obama facetiously claims, “I’m not partisan!” despite the reality that no one is more partisan than Obama. During his entire presidency, reality has bludgeoned his worldview. Ideologically, he cannot change course or change policy. Psychologically, he cannot admit error and pursue another approach. Words are all that remain. Lies, misdirection, altered definitions, threats, bold bluffs, polemical attacks, humor. All designed to enable Obama to stay the course and refute the reality that Obama is to blame. This entry was posted in Uncategorized and tagged big lie, Bush, crises, doctrines, Hillary, Newspeak, Obama, Orwell, Pelosi, Reid on July 28, 2014 by BrotherWatch. President Obama has kept that promise, though in ways we never would have imagined possible. 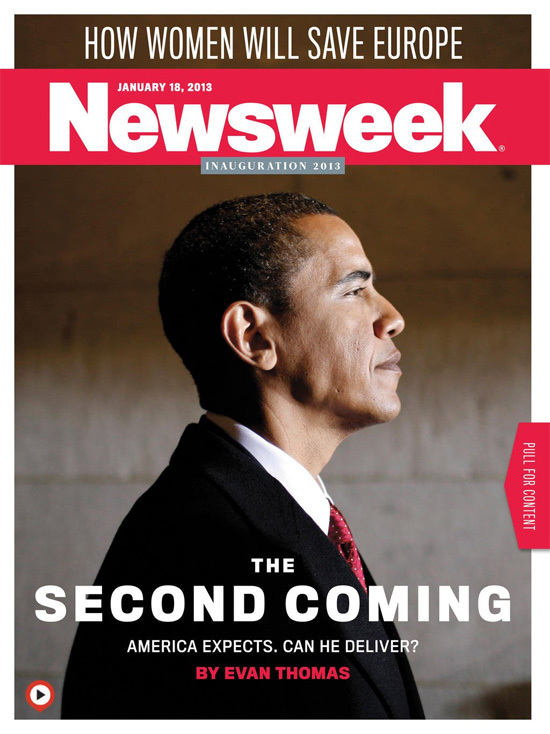 Who could have imagined the depth of Obama’s impact on America – and American interests – in so many areas: politically, economically, culturally, militarily, and geopolitically? In recent months, we have witnessed a series of crises overseas, many of which are a direct consequence of Obama’s foreign policy (or lack thereof). A growing confluence of scandals at home and abroad instill distrust in the president, his policies, his intentions, and his character. The news has featured a variety of flags of late and these offer a visual narration of the impact of Obama’s foreign and domestic policies. 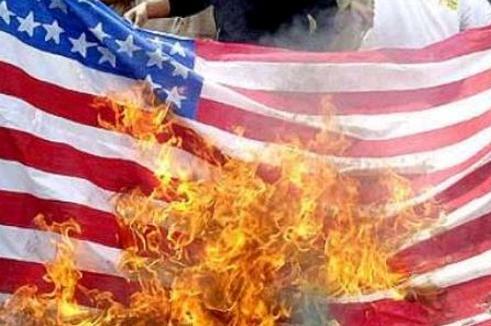 Contrary to the Supreme Court, for most Americans, flag-burning is not protected “free speech” and desecration of the American flag displays an utmost degree of contempt for the nation it represents. Under Obama’s leadership from behind, America’s image abroad has radically deteriorated, as evidenced by pro-amnesty protestors on the border seeking open borders while desecrating the American flag and denigrating America herself. Obama’s denial that America is exceptional, and his continual exaltation of other cultures and countries above are own, encourage disrespect. As he embraces the world’s values and traditions, he unilaterally opens wide the doors for those peoples and cultures to partake of American affluence – against the will of most Americans. What do we get in return? Chaos on the border. Activists demanding amnesty as a right. And contempt from those making those demands. 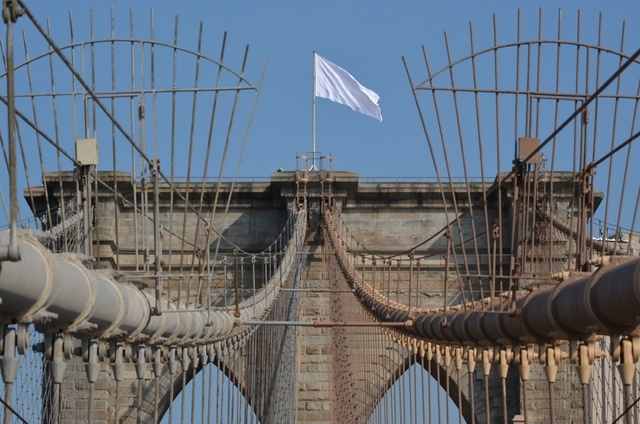 Just days ago, American flags over the Brooklyn Bridge were replaced with white flags of surrender, apparently symbolizing Obama’s capitulation to America’s enemies. Across the globe, from one country to the next, one crisis to the next, Obama’s strategy of leading from behind, of eschewing action for diplomacy, of dithering while Rome burns, has led to the escalation of violence worldwide, chaos in once contained nations and regions, the strengthening of our enemies, and relational deterioration with our friends and allies. The world as we knew it is gone. Our victory and peace in Iraq is vanquished and the borders of Iraq are being redrawn. Afghanistan may soon follow suit. Islamic jihadists are overrunning huge swaths of the Middle East and northern Africa. And this is only the beginning. Obama’s six-year outreach to the Muslim world has failed. Indeed, new storms constantly arise in the Arab Winter he inaugurated. America is hated now more than it ever was. An American president who has defended Islam at every turn – while disrespecting or curtailing Christianity as opportunities present themselves – is causing the United States to reap what he has sown. President Obama famously refused to wear American flag lapel pins or to say the pledge of allegiance. 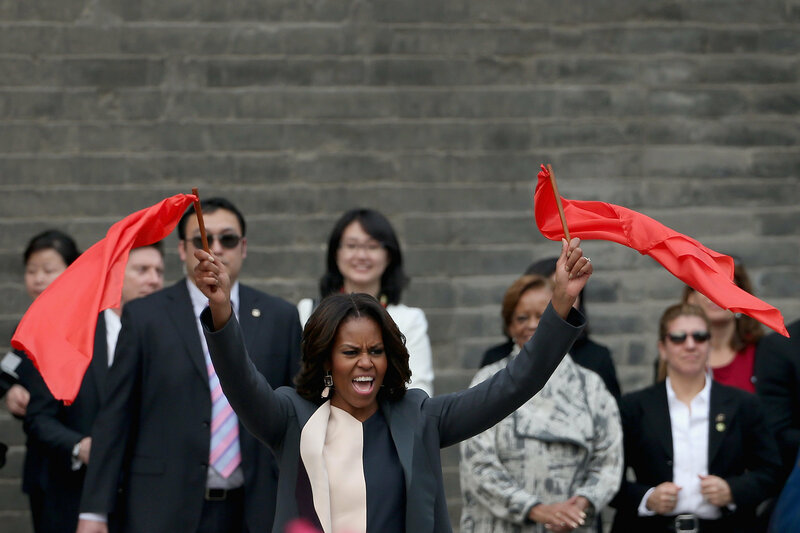 The First Lady’s exuberant waving or – and dancing with – the flag of Communist China evokes many thoughts and emotions best individually reflected upon. But consider the optics of the President and First Lady in disrespecting what Americans revere and revering what the enemies of America revere. Flag confusion reigns among many liberals. 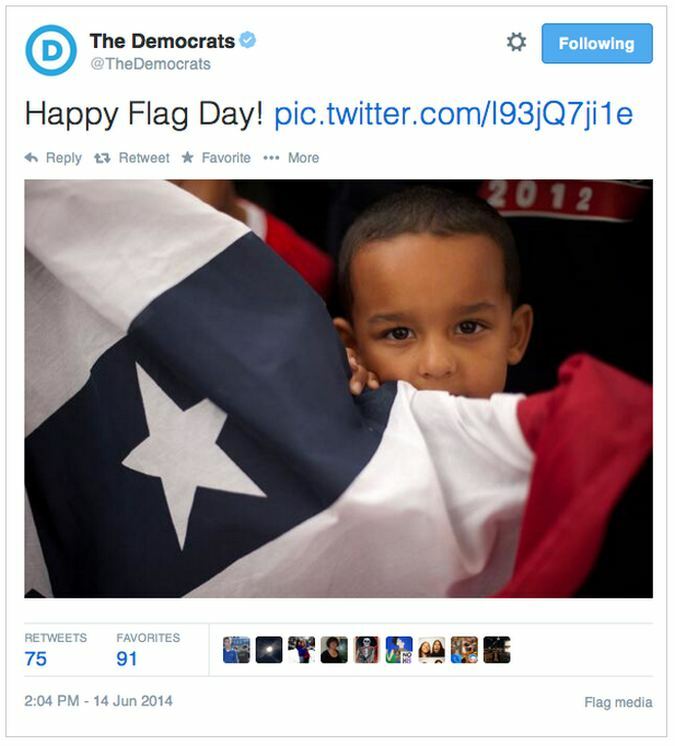 The DNC celebrated Flag Day with an official tweet using a non-American flag. Who were they honoring? America? Illegal aliens? There has been a seismic cultural shift during the Obama presidency. From the dramatic growth of government, spending, and intrusion in the daily lives of ordinary Americans, to the acceptance of chronic conditions of unemployment, welfare, food stamps, and other aspects of the Nanny State, to a continuation of the culture wars from the 1960s. 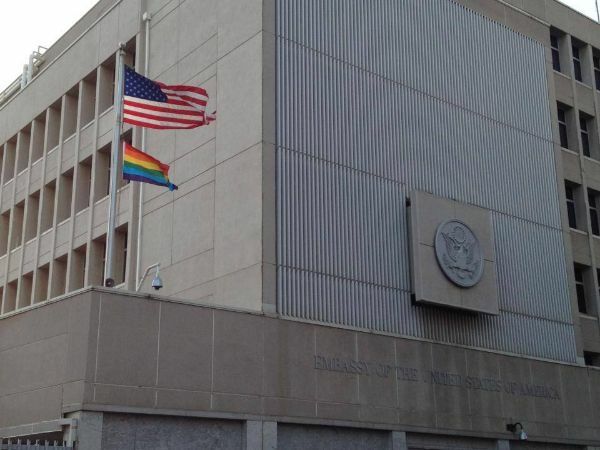 Obama one certain victory is in the exaltation of homosexuality. Is America being Islamicized by a president who courts Islam and brushes off Christianity? “New Jersey residents in Paterson are not happy about Mayor Jeffery Jones’ public participation in the city’s recent Palestinian celebration at City Hall. 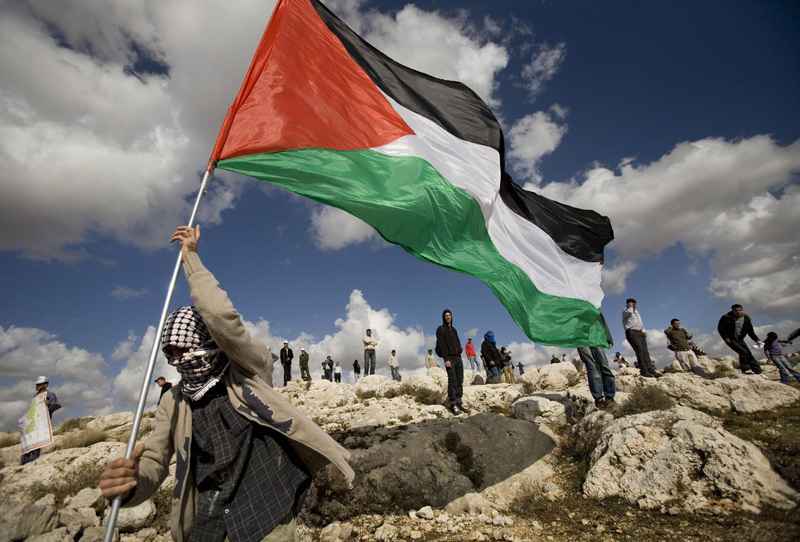 “Apparently, Palestinians gathered to raise their flag in what was the second ceremony commemorating their fight for statehood. During the event, Jones raised the flag as a symbol of ending peace talks with Israel last month. 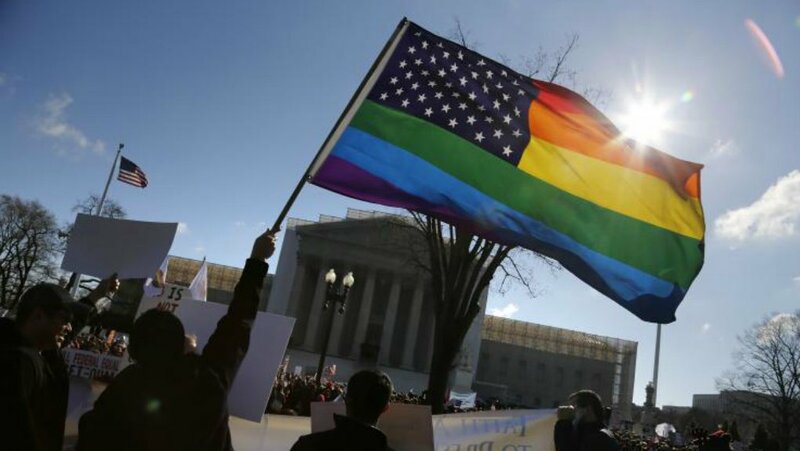 Update: With the Supreme Court’s recent legalization of gay marriage, another flag was added to America’s history. See “America – Lost in a Fog of Immorality and Tyranny” at http://wp.me/p4scHf-aL. 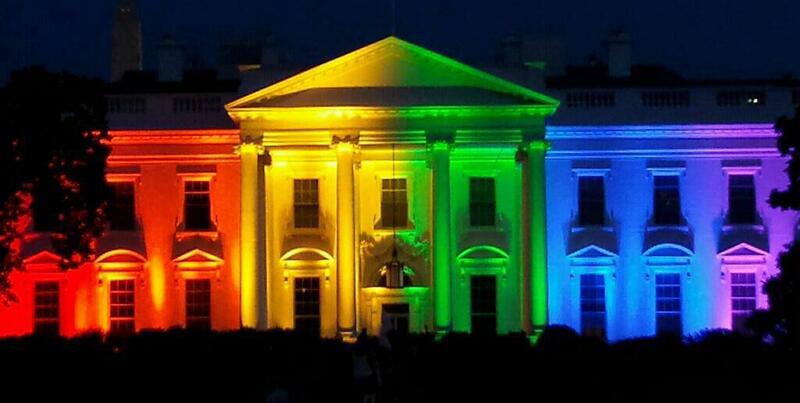 The White House also cloaked itself under LGBT lighting. 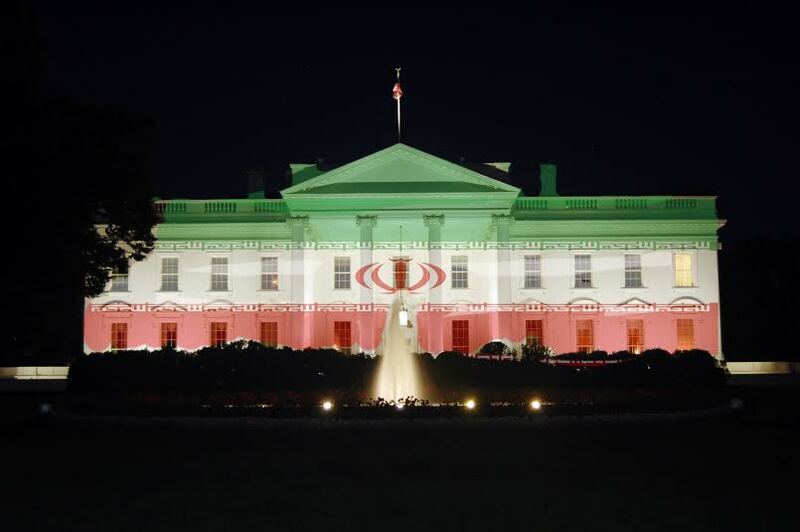 Update: In celebration of the Iranian deal, the White House again draped the People’s House in colors, this time Iran’s! See also See “Reclaiming America!” at http://wp.me/p4scHf-9V. This entry was posted in Uncategorized and tagged American exceptionalism, flags, ISIS, Obama, patriotism on July 25, 2014 by BrotherWatch. Newspeak and doublethink are Orwellian hallmarks of the Obama administration and its allies. They have elevated Newspeak to a new level. But the world has hardly been less tranquil since world War II, turmoil in the United States rivals that of the Sixties, and America’s economic outlook and sense of insecurity exceed that of the Carter administration. Rather, these (and others) are all scandals and they are crimes. Let’s call them what they are: crimes. Too many liberals have difficulty understanding what words mean when those meanings conflict with their agendas. 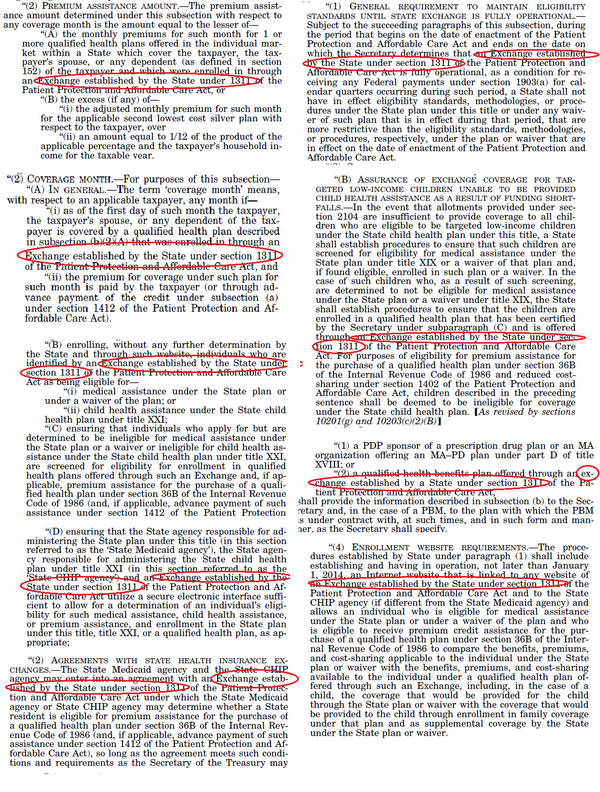 Here, they claim the meaning is debatable, ambiguous, difficult to fathom, hard to decipher. If those words – “established by the State” – don’t mean what they say, then there is no point to making any laws at all because any laws created will mean whatever the ruling elite want them to me. Nothing more, nothing less. The Red Queen speaks. The Constitution has become a ball of wax. [i] Bob Beckel, Hannity, FNC, 6/16/14. This entry was posted in Uncategorized and tagged Constitution, Newspeak, Obama, Obamacare, Orwell on July 23, 2014 by BrotherWatch. The Word Police are now going after illegal immigrants – not the criminals but the description. In the process, they are showing their true – un-American – worldview. 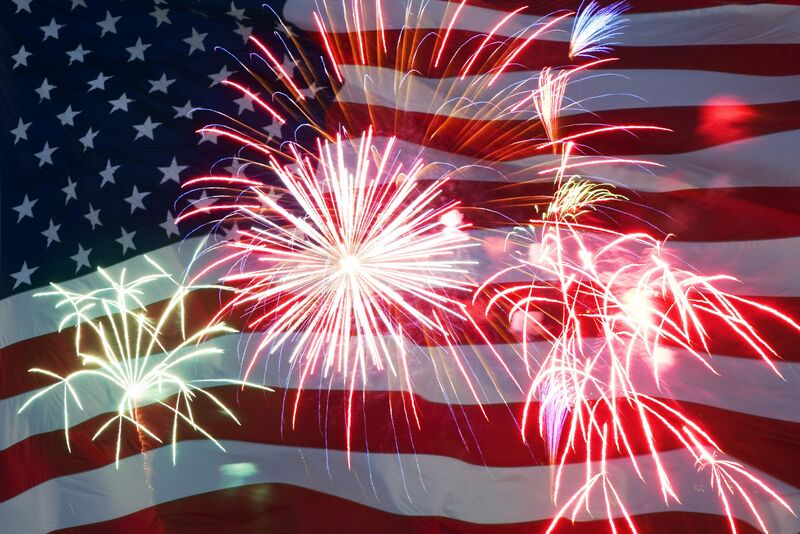 Progressive columnist Sally Kohn’s Fourth of July column, entitled, “The ‘i-word’ is un-American,” makes a mockery of national identity and suggests patriots are unpatriotic. Indeed, perhaps patriotism itself doesn’t even exist as a positive quality in her mind. In her astonishingly thoughtless column, Kohn likens the terms “illegal immigrant” and “illegals” to racial slurs or gay epithets. Never mind that those terms have no pejorative connotations and that they accurately describe the legal status of the people involved – illegal. 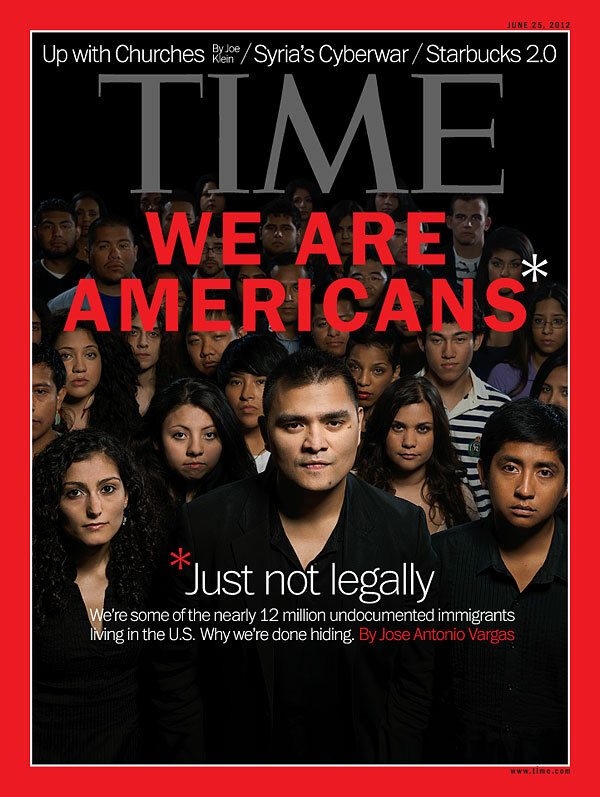 Have we gone so far downhill that we now consider anyone who enters our nation – legally or illegally – “Americans?” Some people obviously do. For many people, national sovereignty, national identity, American exceptionalism, what it means to be an American – these all have little meaning or relevance. For them, these concepts only exist as talking points to obscure the real issues and fool the electorate. Does the truth offend? Removing the rhetoric does not remove the reality. “Illegals” remain illegal. But that is the goal – eliminate the words describing their behavior and then legalize the behavior. The description illegal accurately defines their status. 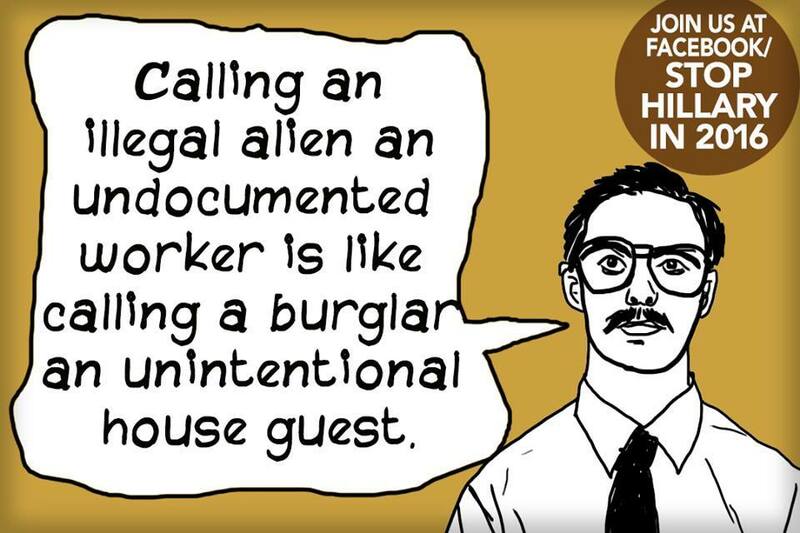 There is nothing offensive about using the term “illegal.” It is accurate! 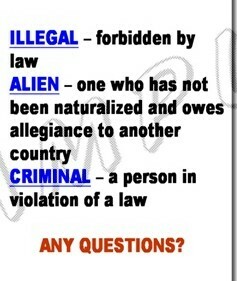 My own issue with the term “illegal immigrants” is with the word “immigrant.” Illegals are not immigrants. They have not even begun the immigration process. They are aliens. Foreigners. Not citizens or legal residents of the nation. Aliens. “Illegal aliens” is a far more accurate term, one that has been used since the dawn of nationhood. But it has bit the dust due to the PC Word Police. Political correctness transformed “illegal aliens” to “illegal immigrants” to “undocumented workers” and other euphemisms – all to deny the reality that people who are invading our borders are doing so illegally and they are aliens. Illegal aliens are not “Americans,” they are not “citizens,” they are not “undocumented workers,” and they are not even “immigrants.” They are aliens who are here illegally. Until we get the terminology straight we cannot correctly solve the problem. This entry was posted in Uncategorized and tagged American, illegal alien, illegal immigrant, immigration, patriotism, PC, progressive, word police on July 8, 2014 by BrotherWatch. Thomas Sowell suggests “the best birthday present for America” is a fighting spirit to preserve the wonderful legacy of freedom bequeathed to us by the Founding Fathers. They knew back then what many today have forgotten: that we are all equal in the eyes of God and that it is through His benevolence that we are endowed – as His created children – with unalienable rights that have been granted to us by Him, not by government. The purpose of government is not to give rights, but to secure them. The government is meant to serve the people, not the other way around. This entry was posted in Uncategorized and tagged America, Fourth of July, independence, liberty, Lincoln, self-sacrifice on July 4, 2014 by BrotherWatch.